Barbara is a trained community worker with more than 30 years of community development experience. She has worked in both the public and voluntary sector providing her with an insight into both. She has had numerous roles throughout her career starting out as a community development worker working in a variety of community settings, an organiser of adult education provision and acting as the community learning strategy co-ordinator for North Ayrshire amongst others. 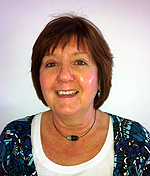 Moving into the third sector in 2004 gave Barbara an insight into the exciting and innovative nature of the sector. 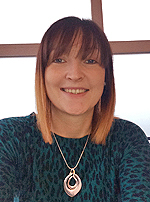 She gained experience at management and senior management level in a large third sector social enterprise and is now proud to be the chief officer with The Ayrshire Community Trust. 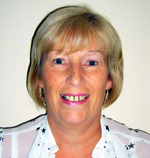 Barbara has a remit for representing the third sector within the Scottish Government and at a strategic level with community planning partners and therefore wants to hear your views on how effective, innovative and supportive the sector is and the impact it has in providing much needed services for the residents of North Ayrshire. I’ve been employed with TACT since 1999 (formerly known as Volunteer Centre North Ayrshire). I was originally employed as part-time administrator and since then have been promoted to Office Manager. My main role is overseeing all finances and processing payroll. I am also currently Company Secretary to the Board of Directors. I can help you with PVG’s Finance and Payroll. 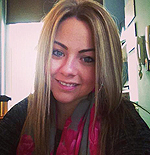 Kaileigh has been with the company since 2007 when she started as a Clerical Officer. Since then she has progressed to a Placement Officer and then the Voluntary Action Team Leader before becoming Operations Manager. Kaileigh is currently in the process of completing a Diploma in Management and Leadership. I can help you with any aspect of Volunteering whether for individuals or organisations and also offer support to continue to develop a strong Third Sector within North Ayrshire. I am happy to help in any way possible please get in touch if you would like to discuss things further. Cheryl is working on The Positive Steps with Partners project in partnership with The Scottish Fire and Rescue Service. This project offers a different type of volunteer experience to people where they can gain practical work based skills, work towards accredited qualifications and access different personal development opportunities. I’m very excited to be part of this new project as I know myself the benefits volunteering can bring to someone’s life. Volunteering helped me progress into employment and this is what I hope to achieve with the volunteers involved in The Positive Steps with Partners Project. I started working as an administrator with the Council for Voluntary Services North Ayrshire (CVSNA) in 2008 where I learned all about the voluntary sector. I was then trained on carrying out Independent Examination. When CVSNA merged with the Volunteer Centre in 2011 to become The Ayrshire Community Trust (TACT) I was tuped over. While working within TACT my knowledge of the voluntary sector has grown. My responsibilities within TACT are that I jointly look after the Health & Safety of the building with Lauren Smith. I am one of four Fire Wardens for the building. I’m currently responsible for the internal volunteers and I also look after the running of our Basic I.T. Skills class. I can help you with carrying out organisation independent examinations, interviewing and placing volunteers and admin support. Hi, I’m Lauren and I’m TACT’s Admin/Receptionist. I started with TACT through a 6 month Community Job Scotland programme as a temporary Admin Assistant which then lead on to full time employment and I have now been here for 4 years. I’m the first point of contact for TACT and some of my roles include First Aider, Fire Warden & responsibility for Health & Safety within the building. I can help you with room hire, appointments, admin procedures and any general enquires. Ann has been with the company since 2003 and for most of that time focused on providing training to both individuals and organisations. She has extensive knowledge on Volunteer Management and policies and procedures on all aspects of volunteering. Part of the Voluntary Action Team, she can help with developing the resources needed to enable organisations to utilise their volunteers to the benefit of the organisation, the volunteer and the client group that the organisation represents. 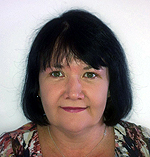 Ann has an Honours Degree in Social Science, a University Diploma in Volunteer Management, holds an SQA Assessors Award and is the SQA Co-ordinator for TACT. She is able to help volunteers find placements and can help new groups to establish themselves as a voluntary body. Accredited facilitator for Pacific Institute’s Investment in Excellence, STEPS to Excellence for Personal Success and PX 2 courses. She is extremely keen to hear from any organisations that would like to improve their volunteer’s experience by obtaining the ‘Volunteer Friendly Award’. I started at the Volunteer Centre in 2005 as a temporary receptionist. 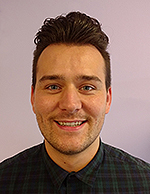 I then progressed to become a Placement Officer within the Volunteer Team and am currently the Development Worker for Reshaping Care for Older People until the end of March 2015. I can help you with information on or registering for any of the 9 RVS lunch clubs that have been set up in various locations around North Ayrshire. I started as a volunteer with The Ayrshire Community Trust in 2013 and was then fortunate in being taken on for the year long digital media project ‘#NA2014‘ and am now very pleased to be involved with Town Centre TV – the large outdoor screen located at the Bridgegate area of Irvine. I’m based in the digital media hub at the refurbished Trinity Church in Irvine town centre. I can help with creating media to promote local organisations and businesses on TCTV, creating websites and converting VHS to DVD. Thea is our long-standing office volunteer and has been with us since 2005. Previously, Thea worked in administration roles for professional companies in the Glasgow area before moving back to Ardrossan. 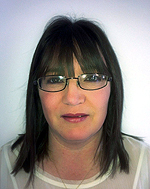 She has extensive knowledge on the workings of an office environment and is a highly regarded member of the team. As well as volunteering with The Ayrshire Community Trust, Thea has also given up her time to help other community groups in the local area. 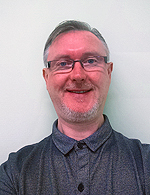 Brian joined The Ayrshire Community Trust in July 2015, and is the Community Worker with Saltcoats Link Up. Saltcoats Link Up is an asset-based community development project which is managed and supported by Inspiring Scotland, in partnership with The Ayrshire Community Trust. 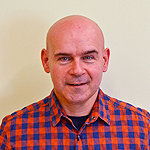 Brian’s work focuses on ‘what’s strong, not what’s wrong’ within the community, and as such he is always eager to meet people who have particular skills or assets or strengths that they would like to share with others living locally. He supports people in Saltcoats to establish, maintain and develop groups based on shared assets or skills, and enables them to grow naturally and organically without any preconceived expectations.Brian has worked in community development in Scotland and further afield for many years, and he is currently enjoying the joys (and challenges!) of his current role in Saltcoats. Hi, I’m Diane. I moved to North Ayrshire in September 2014. 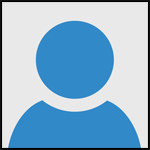 Having previously worked within the NHS in a Human Resources Department for seventeen years. I started with TACT through a Volunteering opportunity, which is a basic two hour IT Course which we run a over seven week period for people with no computer knowledge. This in turn lead on to part-time employment with the Ardrossan Employability Hub which runs on Mondays 12.00pm – 4.00pm, Tuesdays 9.30am – 12.30pm and Wednesdays 10.00am – 4.00pm each week. This drop-in job club is run for the community to help them with CV writing, registering and logging onto the Universal Job Match website and setting people up with an e-mail address in order for them to access and apply for jobs. We also have regular visitors from NACAS with information on a wide range of issues from Claims and Benefits to help with Energy provider advice. So please get in touch if you would like to discuss things further. My main role includes working closely on the Positive Steps with Partners employability project and I also oversee various budgets for a range of different projects. I also help out with the payroll aspect of the organisation. I’ve been with The Ayrshire Community Trust since July 2016 having previously worked with the N.H.S. Addictions team at Stevenston. 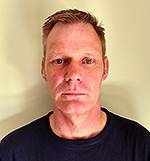 I have a varied experience in the addiction field having worked for Homeless services, Community based recovery services, Private Rehab, Community Rehab and have volunteered in Recovery Communities for a number of years. I have an H.N.C. in social care and I also gained a U.Cert.H.E in Drug and Alcohol Practice from Glasgow University. I have lived experience of addiction and have spent most of my 11 years in recovery supporting others to achieve recovery or to maintain their recovery. My Role today is to develop projects such as Recovery Cafes and Film Groups which give people new skills and hope in the future to allow them to maintain their recovery in a positive and fulfilling way.